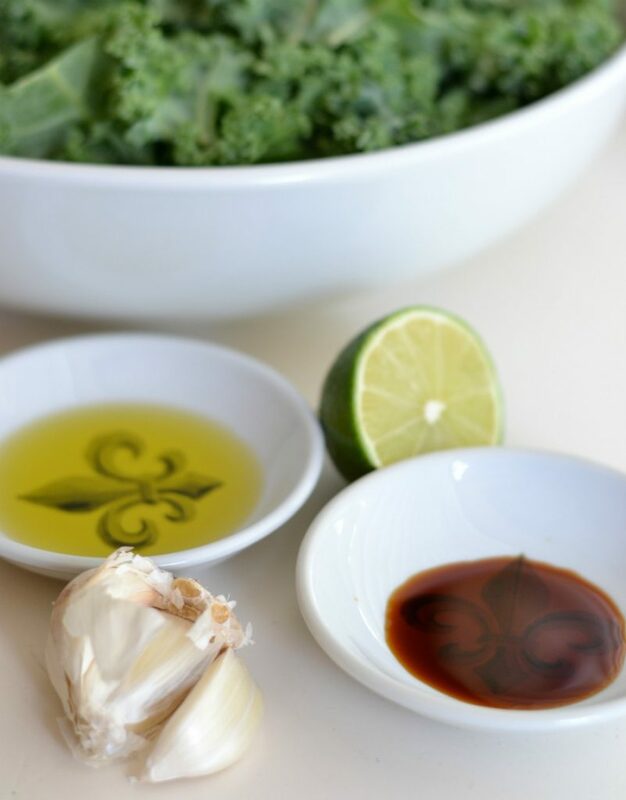 This simple kale salad only requires five ingredients and a massage. Not for YOU, silly, for the kale! “I NEED KALE!” I was practically yelling as we pulled off the highway and headed toward our home. We were returning from vacation, where I’d eaten more than my fair share of fried seafood, butter-slathered grilled oysters, and Pringles by the beach (Is it just me, or does anybody else feel that Pringles are a necessity at the beach?). If you’d told me several years ago that I would actually crave kale, I would have called you nuts. But I actually do love the stuff. It didn’t happen overnight, but I gradually grew from viewing kale as something I should eat to something I actually love and eat on a regular basis. My first foray into eating kale was via homemade kale chips. If you’ve never made kale chips before, you really should. It’s amazing what a little olive oil, salt, and an oven can do. 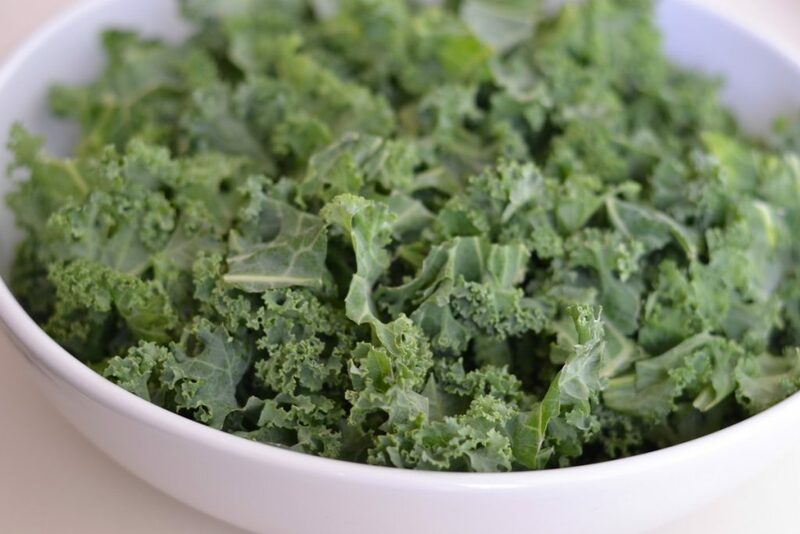 My new favorite way to get my kale fix is through this basic kale salad recipe. It only has five ingredients — kale, olive oil, soy sauce, garlic, and lime juice — and it can be made in about five minutes. It’s all about the secret massaging technique. You give the kale a massage! It sounds weird, but the trick to making a kale salad that has both amazing flavor and amazing texture is to massage the kale. When you work the ingredients into the kale with your hands, you’ll see that the kale starts to wilt down and will significantly shrink in volume. It’s almost like cooking the kale, but without the effort (or the heat), and it gives the kale a hearty, yet soft texture that I love. Plus, it allows the flavors of the other ingredients to really sink into the kale and make it taste great. The lime juice was a happy accident that came about when I forgot to buy the lemon that I typically used in the dressing. Since I was too lazy to go to the store, I grabbed a lime to see if it work would, and it actually tasted better than the lemon! While the lemon juice was sometimes a little harsh, I found the acidity of the lime to be just right. 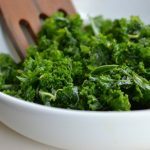 This kale salad is delicious on its own as a side dish, or you can use it as a base and top it with whatever suits you. 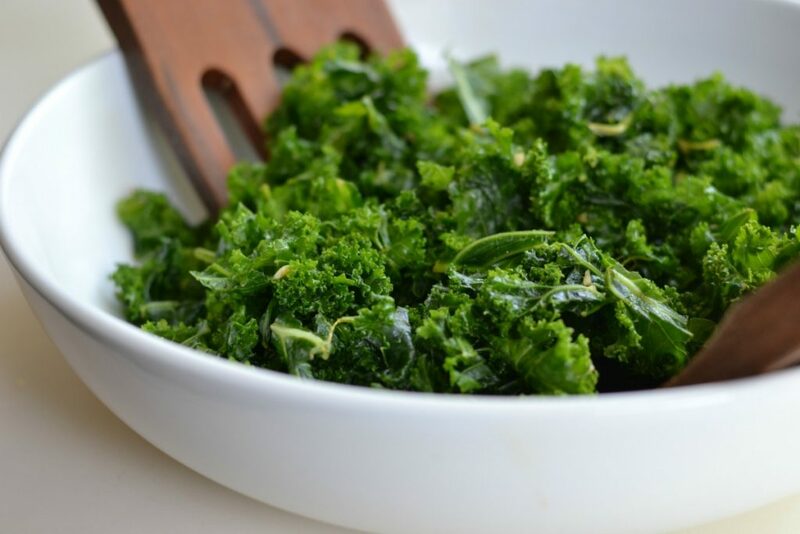 Here are just a few suggestions for kale salad add-ins. The nice thing about this salad, aside from its health benefits and versatility, is that it can be stored and eaten over the course of several days unlike regular salads that typically wilt within minutes of being dressed. In fact, the longer it sits, the more tender it becomes, and the more it absorbs the flavors of the dressing. You can try this with any type of kale, but I’ve had the best results with the curly kale that is sold in a bunch. The pre-chopped kind that comes in a bag works, too, but for some reason I’ve found that to be tougher than the kale sold in bunches…even after giving it a massage. Massaging the kale with your hands gives it a wonderful texture and allows all of the flavors to seep right in. Pull the kale leaves from the stem and tear into bite sized pieces. Place in a bowl. 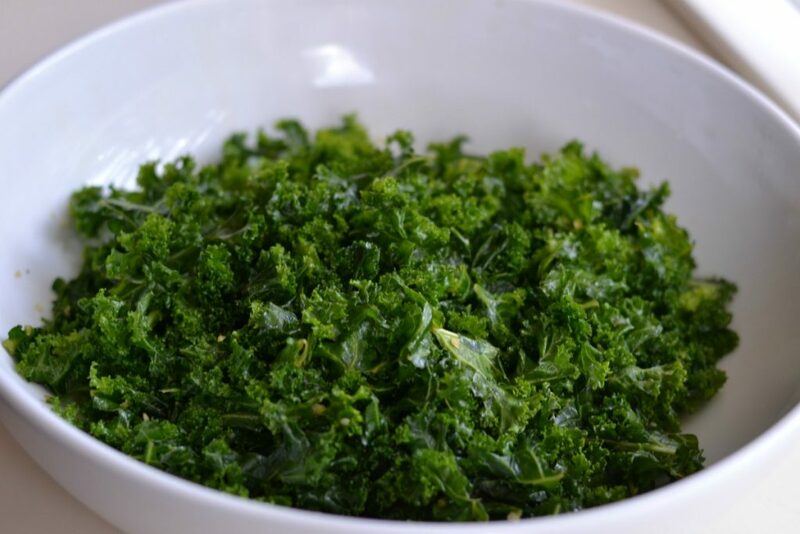 Add all other ingredients and massage into kale with both hands until it's tender and significantly reduced in size. For best results, use a fresh bunch of curly kale. Are you going to try it? Any good ideas for add-ins? Did you enjoy massaging your kale? Tell me what you think!